✔ Honesty and integrity is a key ingredient in our business. Whether you are an Owner, Manager or staff member of a club, pub or any other venue, we believe that clear details, no-hidden costs and excellent customer service is what our clients demand and deserve. Gladly fulfilling this expectation is what notably sets us apart from our competition. 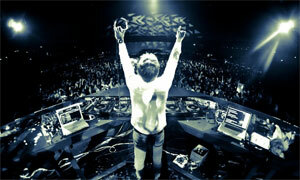 ✔ Our reliable, bright and dependable Melbourne DJs can make your function a success. We value your service and understand how important the right DJ is for your event. We proudly excel in providing a seamless hassle-free service to deliver your perfect DJ entertainment solution on time without fuss. ✔ As professional DJs, we strive to give you the best Mobile DJ service in the Melbourne metro and surrounding areas. ✔ We believe in punctuality, communication and professionalism as a given and conduct our services accordingly. ✔ Our DJs set up, pack up and do all the work for you, allowing a non-disruptive service, coming in and going out. ✔ Booking a DJ for the night is made easy, secured by way of a small cash deposit. Please refer to our FAQ page. ✔ Our Mobile DJs play all the right music for all ages and tastes and know how to keep the Dance floor going all night! ✔ We make sure the volume for the music is controlled responsibly for your comfort and that of your guests. ✔ We offer an exceptional 24/7 service with the best Melbourne DJs available to you even at very short notice. ✔ With top-of-the-range equipment and impeccable presentation, our Melbourne Disc Jockeys look and sound great! ✔ Our friendly and professional Disc Jockeys welcome all music requests and do their utmost to play them! ✔ Our Melbourne DJs come with many years of experience and proudly deliver an authentic DJ performance on the night. ✔ We offer an exceptional value-for-money service with high quality disco lights, audio equipment and a professional DJ. ✔ We take pride in our work and ensure that all of your guests are enjoying their entertainment from start to finish. ✔ Every function that we're involved in, is very special to us regardless of guest numbers, type of event or venue size. ✔ We welcome requests and make every effort to get your guests dancing and singing along to their favourite songs. ✔ Up-to-date and ongoing communication is available with our team throughout the planning stage of your function. ✔ We provide quick responses to email and phone enquiries. For emergency assistance you can also contact us. ✔ Our Disc Jockeys provide clear communication with you on the night to ensure the smooth running of your event. ✔ If a DJ company has let you down, then don't stress because we are available after hours in Melbourne if required.